It has been raining for the past 4 days in VA, the dog is even refusing to go outside. We are expecting snow, not in numbers most folks get concerned about, unless you live in the south. I am thinking we will have a 4 day weekend!! SO what does one do with three energetic kids after school. Bake of course! 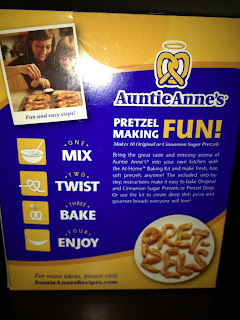 Looking at the back of this, it sounds so easy and no boiling of the dough which I know most traditional soft pretzel recipes require. Let’s get to mixing and twisting. 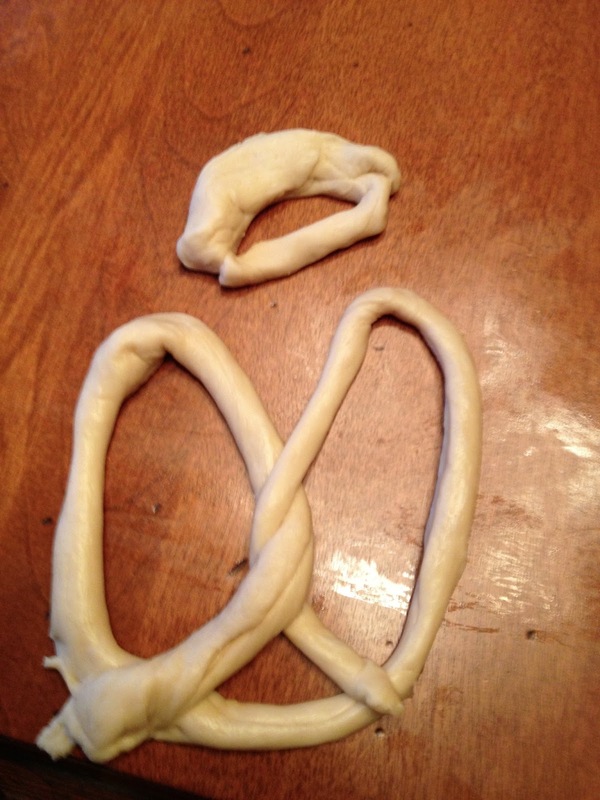 Here is the pretzel dough before it rises. I used my Kitchen Aide for this. Not sure the last time I kneaded dough with my hands!! Makes for a cleaner counter too because you are going to need some clean space. Here the kids are having fun making different shapes. Now to make them with a Valentine’s Day Flair, I decided to add some red food coloring to the salt bag. Just add a few drops and shake. I was pretty impressed with the results. My son made this in honor of Auntie Anne’s Maybe advertising is in his future. What a cute Valentine’s Day that is not full of sugar!! 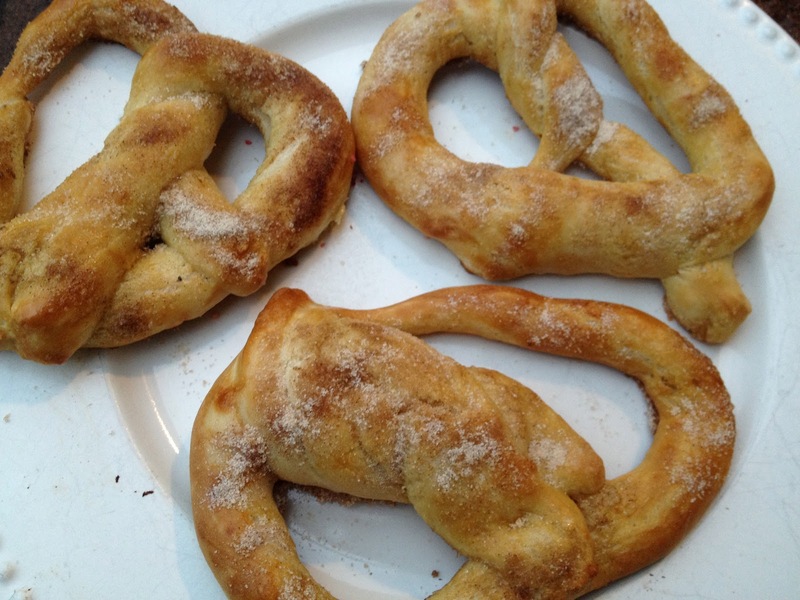 Made half of them with the cinnamon sugar but we prefer the salted version. 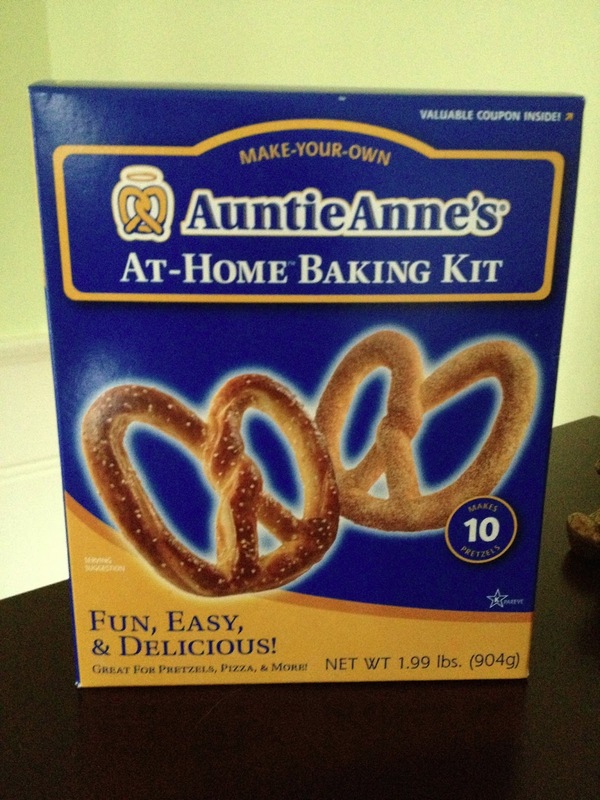 What is even more exciting is that Auntie Anne’s is hosting Baking Kit Recipe Challenge where you can submit your creations for a chance to win $1000. Beginning Jan. 7 through March 31, 2013, you can submit your original recipe idea for a chance to win our 2nd Annual Baking Kit Recipe Challenge. Use the dough and yeast provided in Auntie Anne’s At-Home™ Baking Kit, add your favorite ingredients, and create a new dish with your own twist. Close to Home was provided with a sample kit to review. We were not provided with any further compensation and all the opinions are 100% our own. Oh yum! I love their pretzels, and had no idea they had a kit for home! I have got to try this! Thanks for sharing! I love their pretzels! My friend recently bought a kit too. Looks so easy. 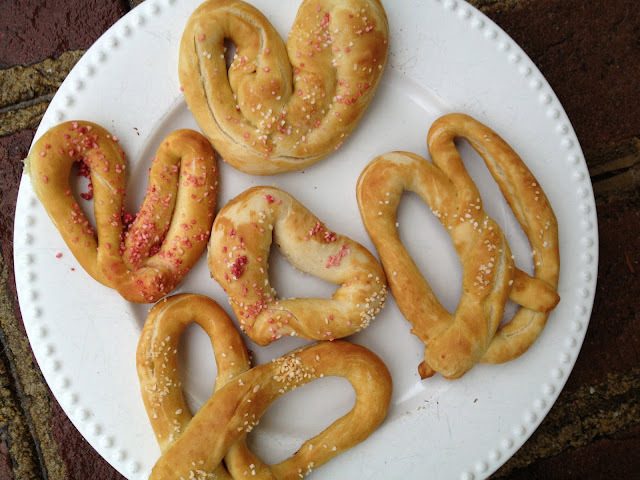 Those look yummy, I love soft baked pretzels with cheese sauce! 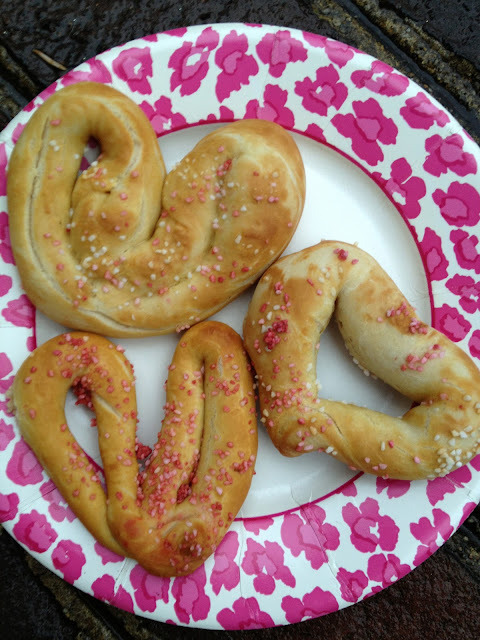 I love Auntie Annies pretzels. I’m going to have to try this.